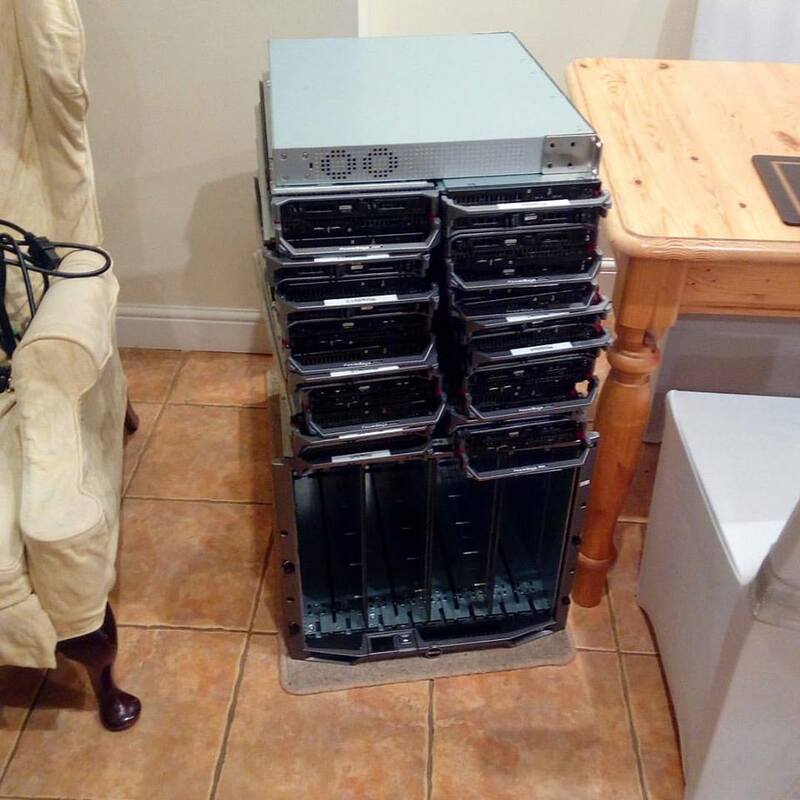 Dell M1000e chassis and 16 M600 blades. Here’s the graphs from my recent experiment, and here’s the data. So I have loads of these from an old project that you guessed it – I never got round to, but how accurate are these cheapest of cheap things? Set up an Arduino/RasPi with all the sensors and get it to read them all back – if all in one location then they should all be the same right? Lets see how accurate they are! I’ll run the test for a week (probably longer) with various conditions and then report back. How much of a table is in use? I’ve been working on a web based monitoring tool for a while now and it’s getting close to completion. A thought crossed my mind, and be prepared it’s a wild one. WHAT IF: my site get’s so popular I hit the upper limits of the index or field size of the primary keys of the tables? Anyway – I’m building in monthly, weekly and daily email routines to let me know certain bits of information regularly without me having to log in, and I thought why not add something that tells me how much I have used? So I did. Half an hour using google and a bit of common sense I now have a page that shows me the stats of the primary key usage and now I can add them to the email routines. So I’ve been playing with different colour correction techniques for my LED’s. I attempted and failed to implement this as Arduino isn’t really the right platform for doing this kind of arithmetic. 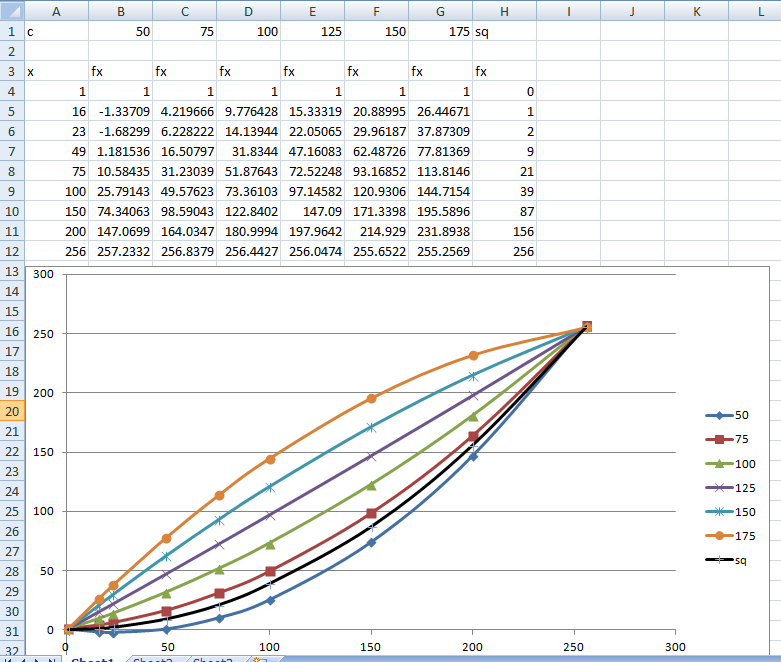 It works in excel ‘tho and produces a lovely graph. 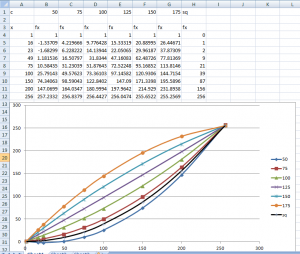 The Black curve in the graph is actually the square and scale method above. The other are for various choices of c.
So I quickly mapped the first 32 values i->x to the 32 LEDs I have and they are quite linear, from there on I found every bank to be quite similar. Which led me to the conclusion that for small values a one to one correspondence was ideal, then a kind of s curve would be ideal. I tried a few cubics but they were quite complex to implement and even tried a quartic. So back to a basic square and scale I think for now. 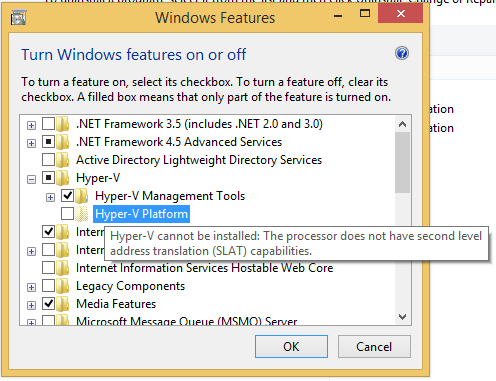 So just turned my server on to play with Hyper V stuffage, and hummmm…. it wont pass POST. It beeps telling me there’s a RAID failure, but then dies before showing me the diagnostics page that it would normally show… HuMmM! SO, pop the hood, thinking maybe it’s a RAM failure and I knocked a CPU heat sink… which then fell off. Think I’ve found the problem then. Oh, and then I’ve run into this again…. 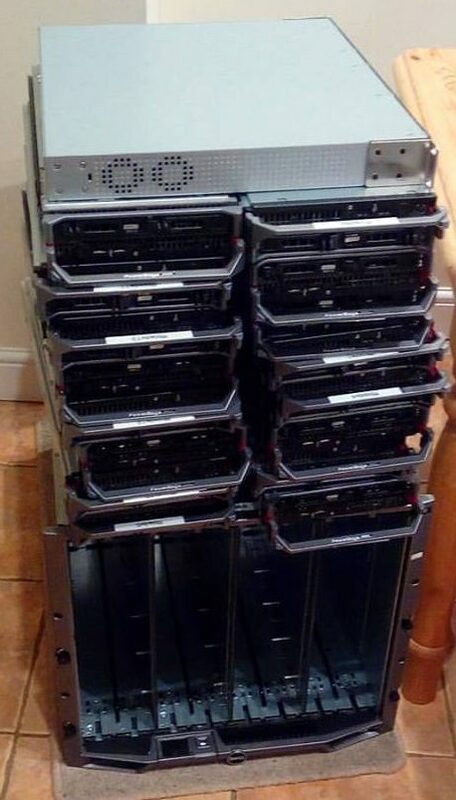 Time to break out Server 2012 DC edition again….Which also doesn’t like the server, time to break out the server 2008 disk, which supports SLAT, but didn’t require it. Might have better luck with it. Only problem there is that Server 2008 doesn’t support live migration and replication in the way that 2012 does :/.